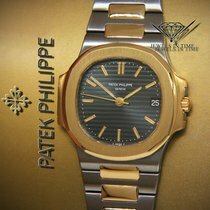 How often have you been told you can't even find the Patek Philippe Nautilus? 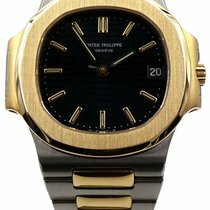 Keep that in mind when imagining how hard it is to find a vintage Patek Philippe Nautilus. This watch is a fine addition to anyone's watch collection. 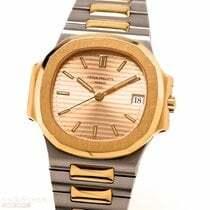 In fact, this watch has been so lightly worn that you can very comfortably enjoy wearing it while out and about. 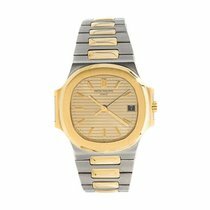 The combination of steel and yellow gold is classic. It lends itself to business-casual and more dressed up occasions. People will admire the unmistakable nobility that the Nautilus design encapsulates and watch aficionados will be in awe that you have a Nautilus. A vintage Nautilus no less. This watch comes complete with original box. Archive papers have been ordered, paid for, and will be delivered to the ultimate buyer. The pictures are of the actual watch. We NEVER cut and paste stock photos for any of our offers.